Using a blend of composite and fabric, Skyboy is powered by the Jabiru 2200 80-hp engine and a Woodcomp three-blade prop to cruise at 100 mph (85 knots). But it's those very comfortable seats that stand out in the pilot report I wrote. Way back in time, back before Light-Sport Aircraft...well, five or six years ago, Skyboy was one of the hot ultralight models. Prices were low, flight qualities were good, and cabin comfort was excellent. It also had a unique look. But after a fast start, Skyboy seemed to lose direction. Even a name change was attempted to reposition the design. Waves of new SLSA were stealing the show. *** Yet Skyboy is back! 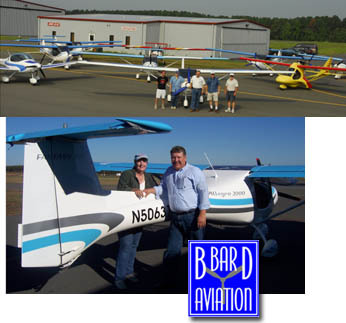 Interplane remains the manufacturer, but now Doug and Betty Hempstead of Fantasy Air USA and Allegro fame have picked up the Skyboy. And they got it SLSA approved, number 41 in the SLSA sweepstakes. The North Carolina company is establishing itself as a supplier of modestly-priced yet intriguing SLSA, the Allegro for sixty something, and now the Skyboy for a remarkably low $47,500. Lots of options can be added, but for well under $50K you get a fairly well equipped, ready-to-fly airplane. 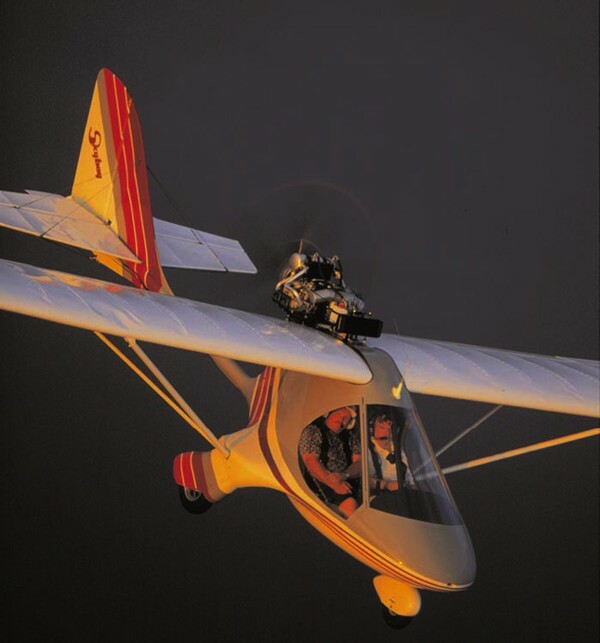 Way back in time, back before Light-Sport Aircraft…well, five or six years ago, Skyboy was one of the hot ultralight models. Prices were low, flight qualities were good, and cabin comfort was excellent. It also had a unique look. But after a fast start, Skyboy seemed to lose direction. Even a name change was attempted to reposition the design. Waves of new SLSA were stealing the show. *** Yet Skyboy is back! Interplane remains the manufacturer, but now Doug and Betty Hempstead of Fantasy Air USA and Allegro fame have picked up the Skyboy. And they got it SLSA approved, number 41 in the SLSA sweepstakes. The North Carolina company is establishing itself as a supplier of modestly-priced yet intriguing SLSA, the Allegro for sixty something, and now the Skyboy for a remarkably low $47,500. Lots of options can be added, but for well under $50K you get a fairly well equipped, ready-to-fly airplane. Computer-Aided Design is now so common we know it simply as CAD, but it allows great precision in the conceptual as well as manufacturing phase (CAM), as this fascinating perspective shows. 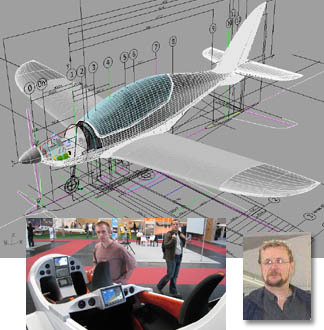 Shark mockup builder and interior stylist Peto Zelman is seen at Aero 2007, flanked by designer, Jaro Dostal. Recognize that tail? You’ve seen it twice before on designs that earned Special Light-Sport Aircraft approval: Interplane’s Skyboy and FlyItalia’s Sport Rider. Designer Jaro Dostal’s signature is the shark fin vertical stabilizer. Skyboy is sold in the U.S. by LSA America. SportRider (MD-3 Rider in Europe) is not presently available in the USA. *** Now from the fertile mind of Dostal comes the Shark. 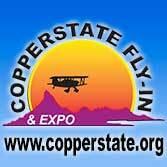 It will be produced by Comp-Let, a producer of composite parts for many companies including Diamond, Aeropro, and FK Lightplanes. Jaro’s design bureau is leading the development effort. “SportShark will fit LSA rules with a larger wing, simpler flaps, fixed landing gear and prop,” declared Comp-Let. “We are finishing the aerodynamic design calculations (forces, structure, stability). Designers prepared a cockpit mockup. We have started to work on a fuselage model. The plan is to fly a prototype by spring 2008. Easily one of the most fascinating airplanes to appear and show well as the airshows of 1999 was the east European-built Skyboy, sold in this country by Interplane. In truth it's not only sold here by this outfit, Interplane is the name of the company building these aircraft in the Czech Republic. It may not be of American heritage but from what I could tell it quickened the heart of Yankee pilots. Under the direction of Jaroslav Dostal, a veteran of the LET Aircraft Company which builds 19- and 40-passenger commuters, a group of talented designers created several sport aircraft of which Skyboy is one. It's abundantly clear these men knew their job as one examines the workmanship on the fully factory-built Skyboy being marketed to American ultralight trainers. Yet the shapely exterior is not the whole story. As you open the door of the Interplane Skyboy you see a nicely finished interior that invites your entrance. Fortunately, gaining entry is easy with doors which open widely, extend up high above your head, and remain out of the way thanks to a gas piston. As you seat yourself, the sensation is that of laying in a reclining chair. It's spacious which also helps in the training environment that Interplane is trying to create. 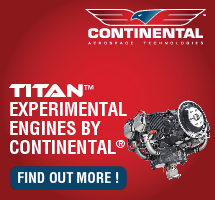 With its standard Rotax 582 pushing it aloft students will discover very cooperative handling. Skyboy handles lightly but the control response has been dampened to facilitate novice pilot capabilities. Instruction in the Skyboy should be a pleasant experience. Easily one of the most fascinating airplanes to appear and show well as the airshows of 1999 was the east European-built Skyboy, sold in this country by Interplane. In truth it’s not only sold here by this outfit, Interplane is the name of the company building these aircraft in the Czech Republic. It may not be of American heritage but from what I could tell it quickened the heart of Yankee pilots. 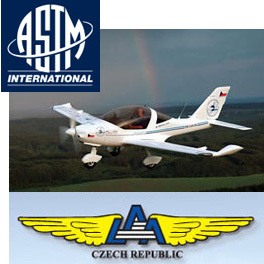 Under the direction of Jaroslav Dostal, a veteran of the LET Aircraft Company which builds 19- and 40-passenger commuters, a group of talented designers created several sport aircraft of which Skyboy is one. It’s abundantly clear these men knew their job as one examines the workmanship on the fully factory-built Skyboy being marketed to American ultralight trainers. Yet the shapely exterior is not the whole story. As you open the door of the Interplane Skyboy you see a nicely finished interior that invites your entrance. PROUD BOSS - Ben Dawson is a mild-mannered man who is proud of the ultralights he represents. Things are looking up at Interplane under his direction. ENGINE MOUNT - Though Ben Dawson assured me it was their design, this engine mount seems aimed differently than most center-of-mass configurations. LESS SHOCK - The Skyboy is particularly well-suspended against rough landings. In a training environment where the Skyboy is optimized, this should help prevent damage. WHY STICKS? - The Y-shaped joystick, dual rudder controls, and dual throttles correctly suggest this airplane was developed as a trainer. CAR-LIKE - Through the Skyboy's wide doors you see an unusually well-finished interior with comfortable seats and 4-point seat belts. BIG EARS - Although this view may not be flattering to the overall sleek shape of the Skyboy, it does communicate the sense of quality and smoothness in the design. PLUSHY INTERIOR - This isn't some customized interior, one-of-a-kind airplane. This is a standard Skyboy trainer. FULL-FEATURED - The Skyboy doors have a solid frame, a secure and nicely finished latch, sliding vent, and even gas pistons. RAKISH TAIL - The Skyboy's whimsical shape also shows smooth aerodynamics. Though the tail may look small visually, the plane flew quite nicely. In May 2000 I wrote about the imported Sabre Aircraft Venture trike. That model from the Ukraine was quite impressive and worthy of your consideration. Now from the Czech Republic comes the Interplane Skyboy. Should Yankee ultralight manufacturers show concern? Yes, I'd say so. However, American pilots - while perhaps showing an interest in imported designs - don't seem to buy a lot of these planes. Or do they? In recent years we've seen trike sales soar. Few industry leaders predicted this despite the persistent efforts of the big European trike builders. Many veterans claimed trikes would never have an impact on the majority of pilots who prefer 3-axis controls. They are being proved wrong, for now anyway. A key reason that holds back U.S. purchases of imported aircraft has to do with local support. Even a good importer can't always control when spare parts are available. Interplane solves this dilemma in an interesting way and with American style: they bought the Czech Republic factory. The owner of the factory based in the Czech Republic is Ralph Mandarino, a Detroit, Michigan resident. After selling out of a successful automotive business and restricted by a noncompeting agreement, he decided to enter the aviation business. Mandarino saw a way to use his experience as well as old country contacts. He not only bought the design of the Skyboy but also the manufacturing plant in a country where he has family connections. 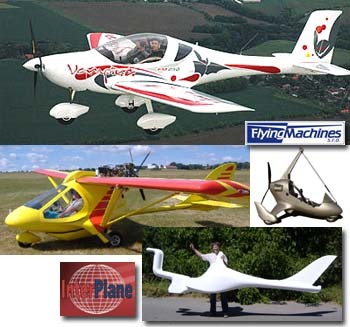 A team of 16 designers from the LET Kunovice aircraft factory created Skyboy and several derivative designs. This group worked under the direction of aeronautical engineer Jaroslav Dostal, head of preliminary design for the aircraft builder. LET Kunovice designs and builds commuter aircraft such as the 19-passenger L-410 and 40-passenger L-610, and world-class sailplanes such as the L-23 Super Blanik and the L-33 Solo. Thousands of these high quality aircraft are flying all over the world. Now, Mandarino has hired Dostal full-time, making Interplane a design force to be reckoned with in the light aviation industry. Interplane's manufacturing unit is based in Zbraslavice, Czech Republic just outside of Prague. 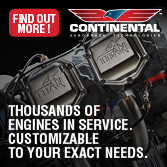 The company boasts well equipped facilities with modern machinery, a situation enhanced by savvy American investment. In addition to building the Skyboy, Interplane uses its special machining capabilities to seek new business in small metal assemblies and composites. 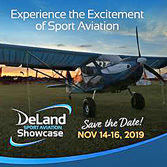 Mandarino also set up Interplane USA as the American marketing arm, and hired long-time ultralight instructor and enthusiast Ben Dawson to be chief of operations. 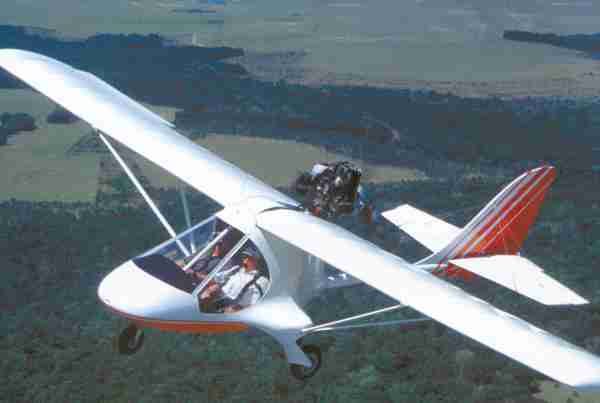 Ready To Fly In April, 2000, Interplane and Dawson showcased a ready-to-fly version of the Skyboy ultralight trainer. At an attractive price of $16,900 - for those who can show instructor credentials - buyers can take away a shrink-wrapped Skyboy that can be flown only a short time after the delivery truck leaves it behind. While all American builders could also offer a trainer this way (assuming it met the definitions of the FAA ultralight training exemption), most have kept producing kits as a way to keep the price lower. It can't be any surprise to Yankee pilots that the Eastern European countries use learned skills to build quality aircraft at very low prices. This will change in the years ahead, many believe, as rates of pay rise to meet Western standards. But today, bargains are available. Both U.S. and Western European builders are confronting a growing list of imports that feature relatively low prices. Skyboy isn't, however, what you'd call "cheap." At $16,900, it may be a good bargain in a ready-to-fly machine, but less costly choices are available. Few will be as well-equipped though. 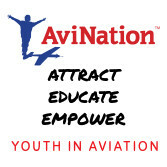 For $16,900 - which includes a $3,000 discount for instructors - you get ASI, altimeter, tachometer, water temperature, and fuel gauge as standard equipment. Also standard are dual control sticks connected along the center console, so that you have a side stick rather than one between your legs which gives you freedom of movement. Dawson explains, "You don't have to spread your legs apart in order to fly the airplane." In-flight adjustable trim is standard. Skyboy seats come with 1.5-inch thick cushions top and bottom and designer bucket shells, but it is the interesting cabin design that really adds comfort. The cabin floor is angled in such a way that your legs are supported from knee to foot. Four-point seat belt systems, a locking fuel cap for the 10-gallon tank, plus 65-hp Rotax 582 power round out the base features of this Czech design. In case of a crash, Skyboy has extra structure in the form of a secure fiberglass enclosure and large diameter tubing support for this fuselage. The boom runs from tail to the nose, within a few inches of the rudder pedals. An angular forward support tube adds to this crashworthy structure. "One of the key features of this plane is how strong it is," brags Dawson. "It is designed for a very harsh training environment. We have a very strong I-beam (lower fuselage) construction attached to the fuselage root (or boom) tube," he adds. "In addition, the landing gear is a trailing link design made from very thick aluminum with motorcycle-type shock absorbers in between the landing gear and the I-beam. Large 14-inch tires help with off-pavement landings and are superior to the small 6-inch tires that are standard equipment on so many of our aircraft." Dawson concludes, "This is all designed to help with training, to make landings easier and softer." For those who aren't looking for a trainer and who are willing to N-number their Skyboy, an optional extra creates a little different leading edge that may add interest. 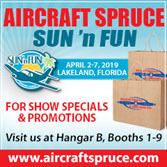 A Mylar® insert under the fabric starts the leading edge upward curvature and extends back far enough to reduce the scalloping between the wing ribs. A similar technique has been successfully used for years by hang glider designers. Additionally, a fiberglass section can extend this even further back along the upper section of the ribs. This EX model also sports a full fiberglass enclosure (as opposed to the fabric rear portion of the Skyboy UL), and it has the fully faired wheel pants of our test plane. 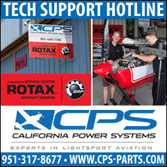 Since it no longer makes the exemption weight of 496 pounds and is FAA-registered, other accessories can be added to include the 81-hp Rotax 912 engine. Not all the changes reflected in the 2000 Skyboy are functional. The tail was given a little more area in front of the vertical stabilizer so it would conform better to the sweeping lines of the tail and aircraft in general. Skyboy's overall shape helps to focus our eyes on a continuing trend, that of continued divergence from the "original ultralights." Those first models were typified by open cockpits, of which by far the most famous is the Quicksilver series. Not only is this Skyboy an enclosed model, but you only need to look around a little to see numerous examples: Flightstar II SC, Challenger, Hawk, Odyssey, T-Bird I, Coyote II, Mk III and Tornado. All are enclosed or can be equipped that way. However, these "cabin-class" ultralights aren't causing the demise of the open cockpit airplanes. The Drifter is back and sales appear good at both Quicksilver and M-Squared. Of course, trikes continue to surge and they're all open as are nearly all powered parachutes. Despite these disparate directions, Skyboy will find favor with many students who aren't sure about all that openness. I feel confident we haven't seen the last of East European aircraft and these largely tend to be enclosed models. Flight Preparations Cabin entry was easy in the door-equipped Skyboy since the doors feature gas pistons that hold the door open while you enter. The basic Skyboy trainer will come without doors though in cold climates you may want to add them and subtract some other feature of equivalent weight. Sitting back in the seats, I sensed how comfortable this cabin would be on extended length flights. Besides the seats having good width for larger Americans, thick cushions pad your back and bottom. But the feature that stands out in my mind includes a floor shaped to offer good leg support. Due to the design nearly your entire body from shoulders to calves are fully supported, meaning less chance of numbness on longer flights. The cabin of our test Skyboy was also fully finished. It has interior panels that give a refined appearance and this is standard equipment in the fully built Skyboy. A fuel shutoff value is just above and between the two occupants and a primer is just above the pilot's head, slightly to his right. A choke lever is on the top of the forward support tube. Though you'll need to remember which control is which, they are certainly easy to grasp. However, the reach to the instrument panel is rather far; I couldn't touch it with the 4-point belt securely fastened. Additionally, the trim is distant for those of us with shorter arms. A control needing fine adjustment is more convenient when it is closer. The Skyboy provides toe brakes on the left side. These were hydraulic on the test plane but the standard item is mechanical brakes. The student or right side has no brake pedals in an effort to save a few pounds (dual pedals can be added for $100 if weight is no issue). Checking for traffic required my customary 360° check at the head of the runway as you cannot see upward well. However, as soon as the Rotax 582 pushed us into the air, the visibility became quite panoramic. Though Skyboy seemed to descend rather quickly I always approach higher than lower, so I needed to increase my approach angle. With no flaps, I turned to slips. I did them with the nose skewed to the right, though that was opposite the crosswind, because that provided more right rudder to use (see "Nice and Light"). I'd been advised to keep power on well down on approach so of course I did at first. Later I made idle thrust approaches with no difficulty. The Skyboy appeared to exhibit very strong ground-effect performance. In three landings, I experienced all smooth and gentle touchdowns. The bumps of a turf runway revealed the absorption capacity of the landing gear, leading me to agree with Dawson's conviction that the Skyboy is stoutly designed. Nice and Light The Skyboy uses a shared joystick. Like the Earthstar Odyssey, each occupant has a place for his or her hand by virtue of a Y-shaped cabin control. The Y-stick method of control is very satisfactory for training or general use. Yet as observed by Mike Makepeace who was assisting Interplane during our test, the left aileron ran out of range and was a little slower responding than the right aileron for a given amount of control input. Despite this, at cruise speed I was able to perform very successful Dutch rolls showing adequate aileron authority in that speed range. Aileron controls are all pushrod linkage to the root, which gives it a more positive linkage than all-cable linkages provide. I found no sensation of looseness in the controls; all movements felt like they had an immediate effect which allows finer adjustment than more flexible control systems. My steep turns went much better to the left than to the right - partly a function of where I sat (in the left seat) which affects perception of the horizon - but also may have had something to do with that softer left aileron. In fact, both the Skyboy and Griffon (the single-seater from Interplane) gave a feeling that I had to use left rudder to keep them flying straight. Small rigging adjustments can correct this and since you get a ready-to-fly plane, such tweaking should be done by the time you take delivery. Regardless of the turn tendency, I enjoyed the light stick response combined with modest roll rates, a great combination for a trainer in my opinion. Dawson had indicated this was purposely designed into the Skyboy and that it had once had faster roll rates with somewhat higher stick pressures. Though it has sleek lines, the Skyboy is a genuine ultralight/microlight. It can cruise up into the mid-80s, but commonly flew in the 60s. The broad cabin may contribute to this speed range although it, too, is very smooth and shapely. 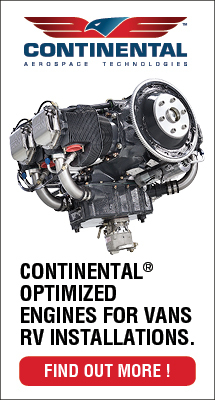 Climb was strong with the 65-hp Rotax 582, 800 fpm according to factory literature, but this isn't the same as a lighter plane with such a potent engine. The Skyboy struggles to stay within the FAA exemption weight and her greater mass demands a more powerful engine to keep her going. The Skyboy comes standard with the Rotax 582, because Dawson feels the Rotax 503 in the training environment is "under too much stress whereas the 582's extra power allows lower stress operation which may make its maintenance requirements less in the long haul." Stalls in the Skyboy got down very close to 30 mph according to the installed ASI, shortly after which point the gauge would go void and drop to zero. Though ASIs can have error at steep angles of attack, the speed felt quite slow to me and I think the figures are accurate. Stall characteristics were very mild. Under full power, the Skyboy showed only a slight break that was not at all threatening. In power-off stalls the Skyboy exhibited a clear break in stall, though it was straightforward and easily controlled. Sky Out In Your Skyboy? The red-and-white Skyboy I flew this spring is an example of the trainer that Interplane is selling except that it has doors, electric start, and hydraulic disk brakes. According to Dawson, none of those accessories could be used if your Skyboy needs to qualify under the training exemption to Part 103. Interplane has set a target of 490 pounds (6 pounds under the maximum), to allow for slight variations in material. Neither can a Skyboy trainer have wheel pants nor gear fairings. All these goodies and more are available on the EX model which requires an N-number. Of course it'll also require more cash. An EX (non-trainer) model starts at $14,900 for a kit, fully assembled $24,900. Since I didn't get a look at a kit manual, I have no opinion about the kit itself, but Interplane suggests around 400 hours of build time. 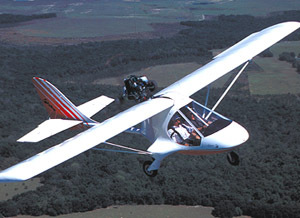 The Skyboy trainer model being sold in the Spring of 2000 for $16,900 in ready-to-fly form also uses a fabric aft cabin enclosure. The EX (N-numbered) model uses fiberglass in this part of the enclosure, but fabric is employed to help Skyboy conform to the exemption weight definitions. A Skyboy trainer is actually $19,900 in ready-to-fly form but Interplane offered a $3,000 "instant rebate" for those with instructor credentials. I find this an interesting way to motivate buyers considering the Skyboy for instructional purposes. The Czech factory fully builds such Skyboy trainers and test-flies them. For shipment to the USA, Dawson says, "They dismount the wings and remove the struts and prop. They fold up the tail along the vertical, then wrap the entire plane in plastic wrap and ship it to me." This same procedure is used whether Interplane is the recipient or the plane is shipped to a customer. Our test Skyboy is owned by a Fran Simone and he's a lucky pilot, I'd say. I enjoyed flying the Skyboy and believe this machine may develop a market in the U.S. so long as their American representation remains as good as it is today. Notes: 1Trainer has larger wing due to European microlight rules (N-numbered EX version has 145 square feet of wing and a 30.5-foot span). Standard Features Rotax 582, ASI, altimeter, water temp, tachometer, and fuel gauge, mostly enclosed cabin with wide seating area, folding tail, quick-release pins in wing, in-flight trim, remote choke, convenient full shut-off, shock-absorbing gear, steerable nosewheel, mechanical brakes, dope-and-fabric wings and tail. Options Hydraulic brakes, engines up to 81-hp Rotax 912, electric starter, 4-blade prop, additional instruments, fully-assembled option, doors, and ballistic parachute in progress as of April 2000. Construction Aluminum airframe, fiberglass fairing, hydroformed aluminum wing ribs, dope-and-fabric wing coverings. Made in the Czech Republic by American-owned company; distributed by U.S.-owned company. Pros - To American pilots this is a new, never-seen-before design, but the team behind it are accomplished engineers for a large aircraft builder. Certainly the design is unique among U.S. creations while still having a sleek appearance. Configured for American consumption, even the factory is now owned by Interplane, a U.S. company. Intended for the trainer market in many ways (see other categories). Cons - No matter its strengths, it's a foreign design that not everyone in America will want; may limit eventual resale though nothing is sure at this early point. Testing was assured but not verified by documents or photos. Can meet Part 103 exemption, but at a loss of some items pilots like. Pros - Feature-laden design with in-flight trim, electric start (on test plane), hydraulic toe brakes, dual throttles and flight controls, remote primer, and cabin fuel valve. Easy engine repair access (especially while ultralight sits on tail). Clean refueling through outside fill point. Adequate room for radios. Several gauges are part of base equipment list. Cons - Lots of features but no flaps which some consider essential for training aircraft (to assure broader experience). Electric starting may not allow plane to make exemption weight (depending on other optional choices). Brakes only installed on left side in evaluation Skyboy (such weight savings are needed to comply). Pros - One of the most comfortable seating arrangements I've ever experienced; excellent leg support (the floor angles to fit your body). Y-stick control is quite workable (though not unique). Beautiful door system with gas pistons to aid entry and reduce likelihood of wind damage. Secure latches and large air vents also add value. Factory says cabin can be heated for cold weather use. With center stick, cabin seems roomier than those with dual center joysticks. Nicely finished interior. Cons - It's hard to criticize this cabin. No easy seat adjustment was observed; differing cushions will work but may not always be available. Brakes on both sides seem important for a full-fledged trainer; you must save the weight somewhere else (if possible). No obvious cargo area, though some possibilities exist for creative builders. Pros - Forward visibility is very good. Steering is enhanced by differential brakes (though these were only on the left side). Shock absorption is excellent; good range of movement in motorcycle-type hardware. Lateral stance is also very good. Ground clearance is generous; with stout gear off-field landings should not pose a big problem. Cons - Upward visibility for pre-takeoff taxi checks is restricted by seating back into the cabin. No brake controls on right side. Nosewheel is lightly loaded, reducing steering effectiveness in some situations. Turn radius was not particularly tight. Pros - Wonderful ground-effect performance with extended time for roundout and flare; excellent characteristic for students. Main gear is very absorbent, being designed for training. Excellent approach visibility over the low nose fairing. Slips were effective at controlling the approach path. 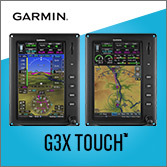 Controls are authoritative enough to handle reasonable crosswinds. Cons - Well out of ground effect, the Skyboy seemed to exhibit a higher sink rate (though this was not measured). No flaps will inhibit some training of students for these surfaces. Slips are effective but flaps are often a good alternate, especially for less experienced pilots. Soft left aileron and rudder restricted side slips somewhat. Pros - Y-stick proves very workable for the training environment (and adds cabin space versus center joysticks); instructor and student don't need to "hold hands" as on some models. For training, Skyboy handling was a good combination of lightness (less muscle needed) but moderate response (not sudden). Adverse yaw was modest. Good crosswind capability. Steep turns went well; plenty of pitch stick range. Cons - Some right turn tendency was noted in test plane, requiring some opposing control. It was hard to clearly judge control harmony with this turn tendency (though this may have just been this one Skyboy). Rudder and vertical stabilizer appear somewhat small compared to comparably-sized ultralights. Pros - Strong performance on 65-hp Rotax 582 engine; factory reps say this choice offers more reserve than a Rotax 503 for training environment. Cruise ran beyond 80 mph according to installed ASI; "comfort range" appeared to be in the 60s. In ground effect, Skyboy retained energy surprisingly well (excellent for training). Cons - Despite 65 hp, climb at gross is only listed at 800 fpm (though this is still plenty strong); an 81-horse option is available. Takeoff run (listed at 260 feet) felt a bit long. Endurance is limited to a couple hours; burn rate is 4-5 gallons per hour. Pros - Stall was relatively slow, well down into the 30s. Power-on or -off stalls broke over but remained on course and were mild breaks. Slight forward sweep and dihedral contributes to stable flight characteristics. Cockpit was designed with crashworthiness in mind; main boom goes nearly as far forward as your feet and is braced with the forward support tube. Longitudinal stability checked out fine. Cons - Stall had a definite break sometimes considered a good thing but which some instructors dislike. No parachute fitted yet, though Interplane is working with supplier to this end. Unable to verify structural testing (though design team appears very well-qualified to do job right). Pros - Impressive group of engineers are behind this design which has been flying in Europe since 1992. U.S. ownership of the factory should help American buyers feel comfortable (owner has family contacts in Czech Republic). Design has been optimized to the training market both here and in Europe; task appears very well done. Ready-to-fly trainer may be appreciated by instructors who aren't keen on building. Well-equipped at base price. 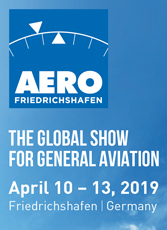 Cons - No presentation of any kit manuals or literature; company seems focused on ready-to-fly aircraft (fine unless you want to N-number an accessory-laden Skyboy). Some equipment must be omitted to qualify for the training exemption, for example, the aft cabin is fabric and less sleek. Delivery time has no track record. In May 2000 I wrote about the imported Sabre Aircraft Venture trike. That model from the Ukraine was quite impressive and worthy of your consideration. Now from the Czech Republic comes the Interplane Skyboy. Should Yankee ultralight manufacturers show concern? Yes, I’d say so. However, American pilots – while perhaps showing an interest in imported designs – don’t seem to buy a lot of these planes. Or do they? In recent years we’ve seen trike sales soar. Few industry leaders predicted this despite the persistent efforts of the big European trike builders. Many veterans claimed trikes would never have an impact on the majority of pilots who prefer 3-axis controls. They are being proved wrong, for now anyway. A key reason that holds back U.S. purchases of imported aircraft has to do with local support. Even a good importer can’t always control when spare parts are available. Interplane solves this dilemma in an interesting way and with American style: they bought the Czech Republic factory.